Superyacht builder Palmer Johnson is known for its excellent range of high end sport superyachts and it recently announced a collaboration with renown supercar company Bugatti to produce 66 hulls of the Niniette Sport Yacht. The Niniette sport yacht is 66′ in length and designed with the unmistakable style of the Bugatti Chiron supercar. The Niniette will be built to individual preferences but includes a luxurious and spacious interior with a full beam master stateroom as well as a large saloon and galley area. The saloon boasts a curved seating arrangement that “cocoons” guests in comfort and luxury while mimicking the same aesthetically pleasing lines of the Chiron supercar. 66 hulls of the Bugatti Niniette sport yachts will be built by Palmer Johnson. 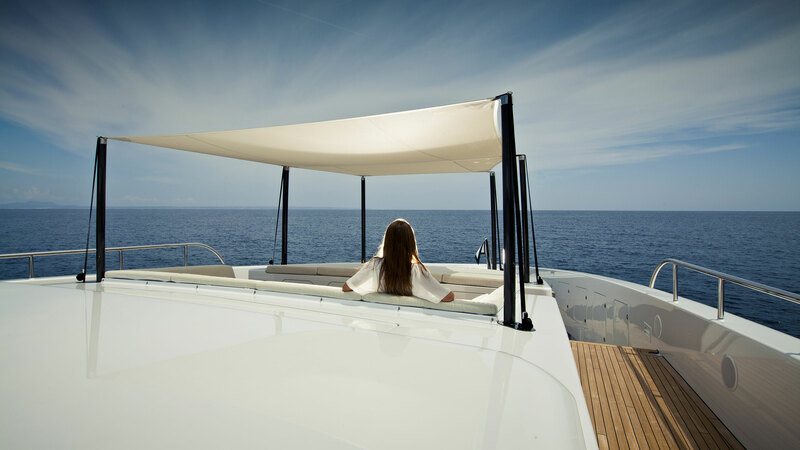 The spacious feeling throughout the yacht is made possible by a 6.5m beam allowing for ample comfort. So much so that a jacuzzi is available for guests to lounge in on the sundeck. 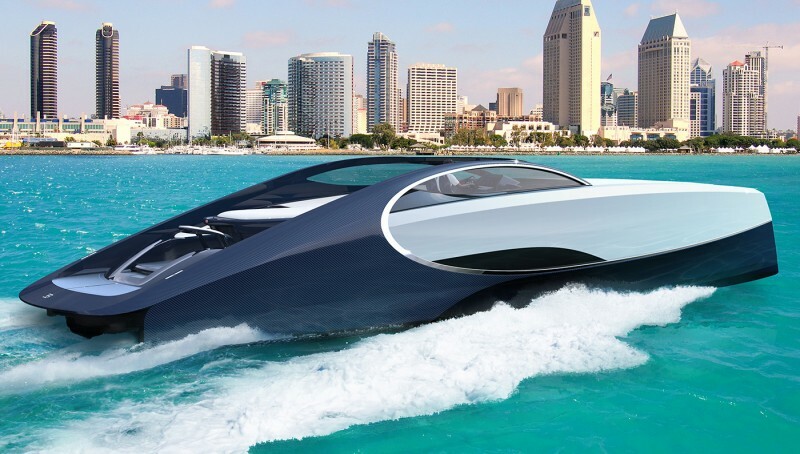 In true Bugatti and Palmer Johnson fashion the Niniette is a quick yacht built out of a carbon fiber composite that boasts a max speed of 44 knots made possible by twin MAN V8 engines. To keep the comfort levels high during cruises the Niniette is equipped with underway stabilization ensuring a smooth rides to and from exotic cruising grounds.